Janice Meyerson (M.M., New England Conservatory; B.A., Washington University), has sung as a soloist with the New York City Opera, New York Philharmonic, Boston Symphony, Deutsche Oper, Berlin, and the Spoleto Festival, among numerous others. A gifted mezzo-soprano and interpreter of song, Ms. Meyerson will perform Ladino and Hebrew examples of Sephardic music. 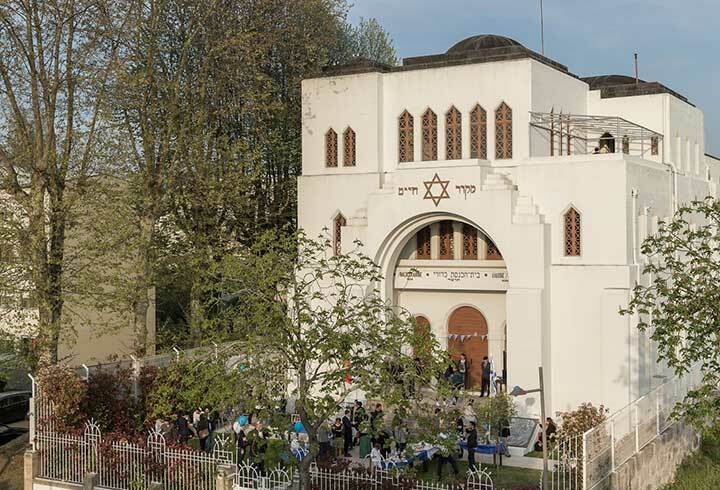 From the Golden Age of Spanish and Portuguese Jewry to the present, the Sephardic community has played a vital role in contributing to Jewish and Western culture. Forming an integral part of medieval Iberia, the Jews of Portugal experienced periods of great creativity, as well as tragedy, until their fateful forced conversion and expulsion in 1497. 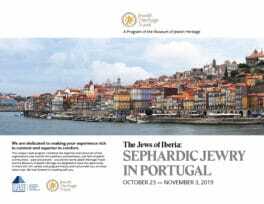 This 2019 trip to Portugal will bring to life the culture, heritage, and tradition of the Jews of the Iberian Peninsula as we immerse ourselves in the rich culture, vibrancy, and creativity of Sephardic Jewry. Highlights of our tour will include presentations by our accompanying scholar, Professor Ray Scheindlin, songs in Ladino and Hebrew illustrating the material presented, and learning about Judah Abravanel’s “Dialoghi di Amore” (a Jewish, Neoplatonic philosophy of love). Beginning in cosmopolitan, thriving Lisbon, with its newly established Jewish community, our travels will include the bustling city of Oporto, with its medieval Jewish quarter, and Belmonte—a Marrano town, hidden from world Jewry for centuries until rediscovered in the twentieth century. Arrival in Lisbon. 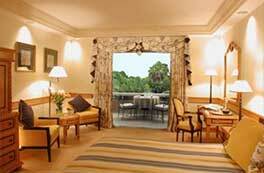 Check in to our hotel, the five-star, deluxe Olissippo Lapa Palace Hotel, and rest and relax from our journey. Our day will start with a panoramic city tour including the area of Belem and the The Jerónimos Monastery. 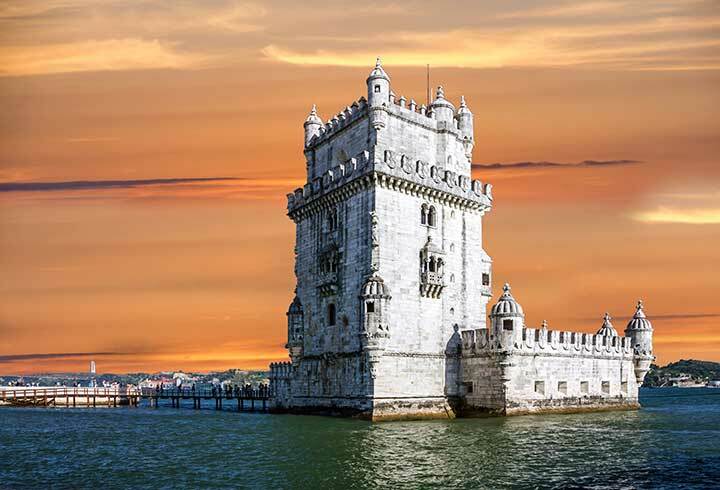 One of the most prominent examples of the Portuguese Late Gothic Manueline style of architecture in Lisbon, the Monastery and nearby tower of Belém are both classified as UNESCO World Heritage sites. From the Belem area, a visit with Jewish community members in Lisbon at the main synagogue, followed by lunch on our own and a tour of the Gulbenkian Museum (a fascinating, eclectic, and unique collection assembled by Calouste Gulbenkian; the wide-ranging contents include Egyptian, Greco-Roman, Islamic, and Oriental art, as well as European paintings). Evening: Presentation by Dr. Ray Scheindlin, The Judeo-Arabic Golden Age in the Iberian Peninsula, followed by dinner on our own. We will begin this morning by touring the National Archives of Lisbon, where we will view original Inquisition documents, followed by a visit to the National Library (Biblioteca Nacional de Portugal) to see its department of rare books and manuscripts, which include documents dating back to the eleventh century. After lunch on our own, we’ll have a guided tour of the Tile Museum. This delightful museum is well worth a visit, presenting five centuries of decorative ceramic tiles, or azulejos, tracing the history and production of the art form. The highlight of the museum is a blue-and-white composition of 1,300 tiles, 75 feet long, of Lisbon’s cityscape made in 1738, prior to the Great Earthquake, and reputedly the country’s longest tile piece. Drive to the magnificent village of Sintra, with time to visit the Town Palace and explore its historical village center. 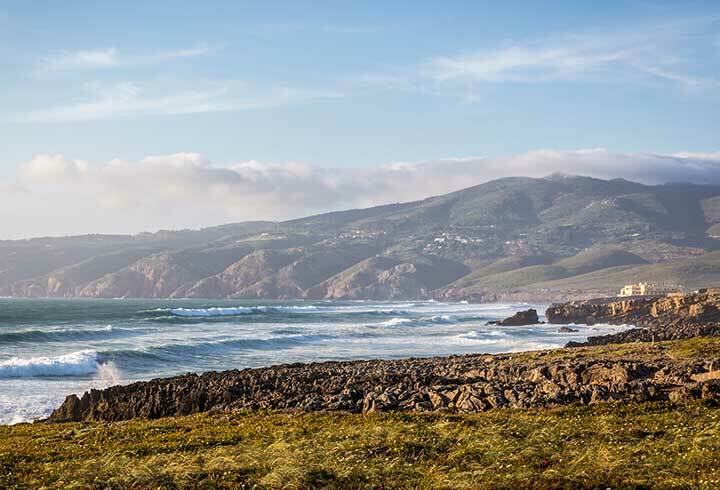 From Sintra, we will drive to Estoril and Cascais, picturesque fishing villages and seaside resorts, where lunch (included) will be served in one of the famous fish restaurants at the beach of Guincho. We will begin our day by traveling to Obidos, with its whitewashed houses and cobblestone streets, whose Jewish quarter was in the center of this perfectly preserved, thirteenth-century walled town. Lunch (included) by the sea in the picturesque fishing village of Nazaré before continuing on to Alcobaça, known for its beautiful tiles and ceramics. Here, we will view the magnificent monastery church and learn about the romantic legend of King Pedro I and Inês de Castro, a love story that has left its mark on the history of Portugal. Depart Lisbon for Tomar, where we will visit the Museu Luso-Hebraico Abraão Zacuto and Portuguese-Hebrew Museum, housed in a synagogue originally built in 1430, followed by a walking tour of the former Jewish quarter. Tour the Convent of Christ, a masterpiece of Manueline Gothic architecture and once headquarters of the Knights Templar. Free time for lunch before departing for Belmonte. Today we will visit Belmonte, where the community of “Belmonte Jews,” or “Marranos,” survived in secrecy for hundreds of years by hiding all external signs of their faith. We will visit the Belmonte synagogue and tour the new Jewish Museum with local historian and researcher José Levy Domingos. 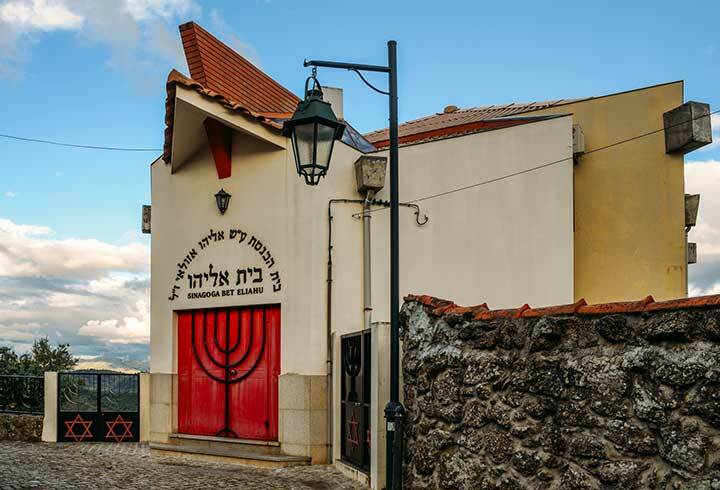 Founded in 2015, it is the first Jewish museum that portrays the history of Jewish people of Portugal and the decisive role that Jews played in Portuguese culture, art, literature, and trade. Lunch along the way (included) before visiting the medieval town of Trancoso, one of the most important towns in Portugal during the Middle Ages because of its strategic location, which was essential to keep Portugal’s independence as well as its borders; it was strongly influenced by its ancient Jewish presence. Upon arrival, we will tour the town and visit the Isaac Cardoso Jewish Interpretation Centre, a place for culture and debate that teaches the ancient legacy that Beira Jewish communities have left behind. Departing Belmonte, we will travel north to Oporto via the Douro Valley, which contains the country’s most impressive scenery, famous worldwide for its vineyards, where Port wine is produced. Lunch (included) in a local hotel or Quinta before checking in to the five-star, Pestana Vintage Hotel, our base in Oporto. Full-day tour of Oporto, including a visit to the magnificent, restored Kadoorie Synagogue, the old Jewish quarter, and the original twelfth-century city of Oporto, with its winding narrow streets. Lunch on our own on the waterfront. Afternoon: (optional) tour of the Museu Nacional Soares dos Reis, with its outstanding collection of Portuguese art spanning from the sixteenth to the twentieth centuries and including sculpture by António Soares dos Reis, the country’s celebrated nineteenth-century sculptor after whom the museum is named. The Olissippo Lapa Palace is a resort within a city, an urban oasis tucked away on a hilltop in one of Lisbon’s most exclusive neighborhoods. The hotel was built as the private residence of the count of Valenças and is just moments from the city’s most famous sites and shopping streets. The luxurious furnishings come from the north of Portugal, with art deco, colonial, Algarvian, and neoclassic flourishes—and arguably the best view in Lisbon. 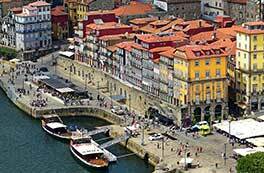 In one of the most prestigious areas of Porto, the Ribeira historic district, the Vintage Porto Hotel is constructed from a group of eighteen buildings that have been named a UNESCO World Heritage Site. 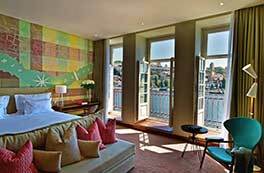 With rooms overlooking the Douro River, the Pestana Vintage Porto occupies a restored warehouse abutted by a medieval wall that links to several former houses. The former convent of Nossa Senhora da Esperança (Our Lady of Hope) is now the deluxe Hotel Convento de Belmonte. 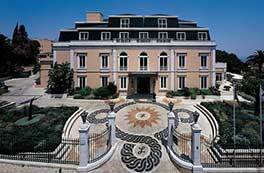 The ecclesiastical origins of the convent have been maintained in this new, elegantly designed Hotel Belmonte. This hotel has panoramic views over the plains across to the peaks of the Serra da Estrela mountain range. The town is dominated by a thirteenth-century castle and an old Jewish quarter, once home to one of the largest Jewish communities in Portugal. *Per person, based on double occupancy. Single supplement available at $1,550. Gratuities ($165) additional. 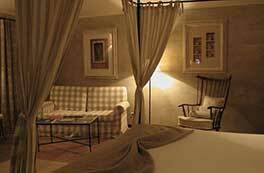 Limited room upgrades available at the Lapa Palace. To reserve your place, please complete the reservation form and return with a nonrefundable deposit of $1,000 per person. Second nonrefundable deposit due May 1, 2019. Cost after April 1, 2019, is $7,200. Balance is due 120 days prior to departure.